Instagram recently rolled out the ability for users to re-share posts from other accounts in their Instagram Stories. This feature was spotted in testing earlier this year, and it is now available to everyone. To re-share someone’s post in the form of a Story, tap on the paper plane icon that appears next to the like and comment icons. From there, users will have the option to either share the post via DM with people they follow, and directly at the top there will be an option to add the post to their story. When a post is shared in a story, the account that originally published the post is automatically tagged. Users can also add additional content similar to editing any other story. This could include text, GIFs, stickers, or drawings. Re-sharing can only be done with posts from public Instagram accounts. So if you don’t see the option to share a particular post in your story, it’s likely that it was published by a private account. To many users’s disappointment, there is still no built-in method for re-sharing posts in the actual Instagram feed. In order to accomplish that, users will have to continue using various third-party apps. Re-sharing posts in Stories in the next best thing, I suppose, and now all users on Android and iOS will have the option to do so. Instagram seem to be building on its Stories feature more so than anything else as of late, and this is just one more example of that. Bing Ads Editor for Mac has recently added support for labels, nearly a year after adding the same feature to its Windows software. The key benefit of using labels in Bing Ads Editor is that it allows users to better organize their ad campaigns and ultimately save time. With the new shared labels library in Bing Ads Editor for Mac, users can create one shared label to add to multiple campaigns, ad groups, ads, and keywords. When labels are added, users can then filter labels to see only items with that label applied to it. So, for example, advertisers could create a label called “Summer Sale” to easily organize everything that has been created in an effort to advertise that particular sale. As part of this update update, Mac owners who use Bing Ads Editor will also be able to bulk manage Structured Snippets. 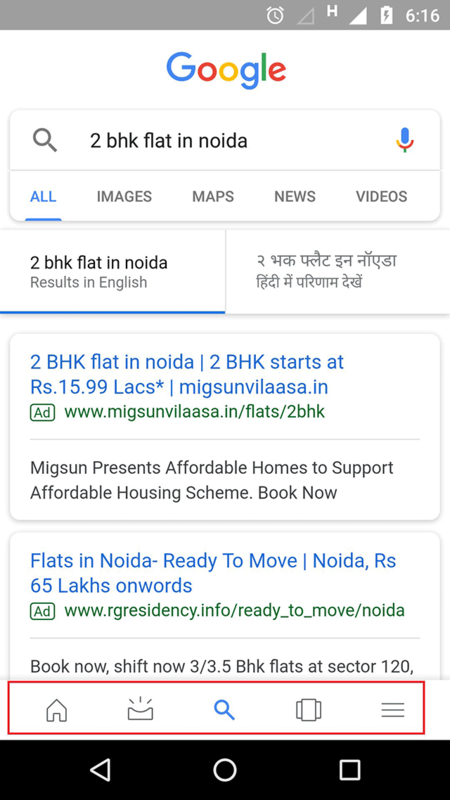 Structured Snippets enable advertisers to highlight specific aspects of products and services that are most important. Another new feature is the ability to revert changes for all items included in a campaign or ad group ad one time. ‘Revert with all included items’ allows advertisers to revert changes to all items included in a campaign or ad group at once. Coming soon for Mac users is the ability to create shared Structured Snippets Extensions. Bing Ads Editor has shared Structured Snippet Extensions, which allows advertisers to create one shared Structured Snippet, and then associate it with their account or multiple campaigns or ad groups. Facebook has recently added support for home services to its Marketplace platform. With this update, home service professionals can market their service offerings to other Facebook users in their local area. Previously, Facebook Marketplace was limited to only selling physical goods. So those without tangible products to sell were not able to utilize the platform. 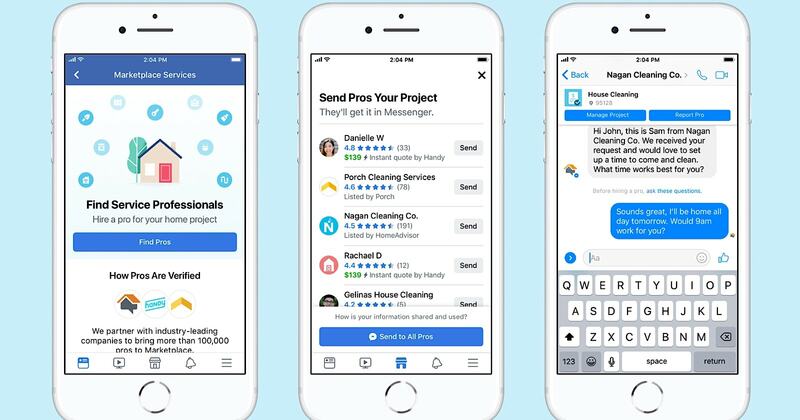 According to the company’s announcement, millions of people turn to Facebook for advice on home services by asking friends for recommendations. Now, those looking for home service providers such as cleaners, plumbers, and other contractors, can find qualified professionals directly via Facebook Marketplace. An all-in-one destination to complete a home project — from proposal to completion. Hundreds of thousands of top-rated professionals across the US. Simplified decision-making by showing professionals’ ratings, reviews, credentials and location. Making it easy to get quotes: simply describe the project you need help with and send your request to multiple professionals at once. Real-time communications with service professionals via Messenger. Support for home services in Facebook Marketplace has already started to roll out, and will be available across the US over time coming weeks. Marketplace is accessible via the Facebook mobile app. A comparison of mobile speed metrics of the Internet from 2017 to 2018 reveals that websites are less mobile friendly today than they were a year ago. This is bad for the Internet. But it can be good news for you. HTTPArchive is a sister project of Archive.org. Archive.org takes snapshots of almost the entire Internet and keeps a permanent record of it. HTTPArchive records the performance statistics of those websites. Google has been warning web publishers of their mobile friendly index and publishers have raced to make their sites mobile friendly. While anecdotally it may seem that most sites are responsive and render in mobile devices, the surprising fact is that most sites are less mobile friendly. First Contentful Paint is the metric that measures how many seconds pass from the time a user navigates to a page until the main content is available to be consumed by the site visitor. According to HTTPArchive.org, the median average number of seconds it takes before a user can use a mobile site is 5.9 seconds. That represents an increase of 22.9%. This metric measures how long it takes from the moment a site visitor navigates to a web page until the page is fully useable and interactive. The amount of time the average site visitor needs to wait is 14.6 seconds. This represents a 20.7% increase over 2017. This metric reveals the surprising amount of time mobile sites visitors need to wait for a single web page. While the next web pages may take less time to download, there will be less visitors to visit those other pages. Many visitors abandon a web page if it fails to download fast enough. View metric here. Why are Mobile Friendly Sites Less Mobile Friendly? Across every important metric, web pages are less mobile friendly in 2018 than in 2017. And this could be good news for you. One of my rules for competition analysis is to identify competitor weaknesses and consider making those your strength. Whether you are a big brand or a nimble mom and pop, improving your page speed is a useful way to improve sales and possibly improve your rankings. Read the full State of the Web Report here. A free online course about mobile friendliness that is linked from Google’s support page. Joost de Valk, the founder of Yoast, posted some interesting data on Twitter yesterday around crawlers and how much they consume of their site, how active they are and if there is any return on investment. The big one is that Bing crawled ~84,000 URLs on Yoast.com over the past 30 days and only returned about 3,200 visitors to their site in that time period. And this is with Yoast ranking well in Bing. Joost said not only that, Bing is consistently crawls more 404s than all the other engines, and seems to keep doing so. "404s are often not cached. This is costing lots and lots of server time, electricity etc," he said. Bing on the Yoast servers consumed 10 GB of data in that 30 day time period. All for only 3,200 visitors. Our logs show @bing consistently crawls more 404s than all the other engines, and seems to keep doing so. 404s are often not cached. This is costing lots and lots of server time, electricity etc. On our servers, it consumed 10 GB of data in those 30 days. Then Joost goes into SEO tools and how much data they consume. Calling out ahrefs as a pretty bad one. In terms of "getting something back" there's one thing that's worse than search engines with a small market share. It's link research tools. @ahrefs consumed 5GB of data from our servers, hitting approximately 2,000 URLS/day. @moz was way nicer, with only 250MB. He then goes on to say that Yoast is one web site and not even a big web site. Thus how much are these search engines and SEO tools consuming across all of the web? How much damage are these spiders causing to the world's "green efforts." Even *if* @Google is making sure all the electricity *they* use is green, they're not buying green electricity for all the sites they hit. Nor are all those other bandwidth consuming bots. Anyway, check out the Twitter thread, it is super interesting. Google's John Mueller said on Twitter that he believes that crawl budget optimization is overrated in his mind. He said for most sites, it doesn't make a difference and that it only can help really massive sites. John wrote "IMO crawl-budget is over-rated." "Most sites never need to worry about this. It's an interesting topic, and if you're crawling the web or running a multi-billion-URL site, it's important, but for the average site owner less so," he added. In fact, Google told us that for their own properties, they don't care about crawl budget. So this comes as no surprise. This statement may have put a dagger through some SEOs hearts. 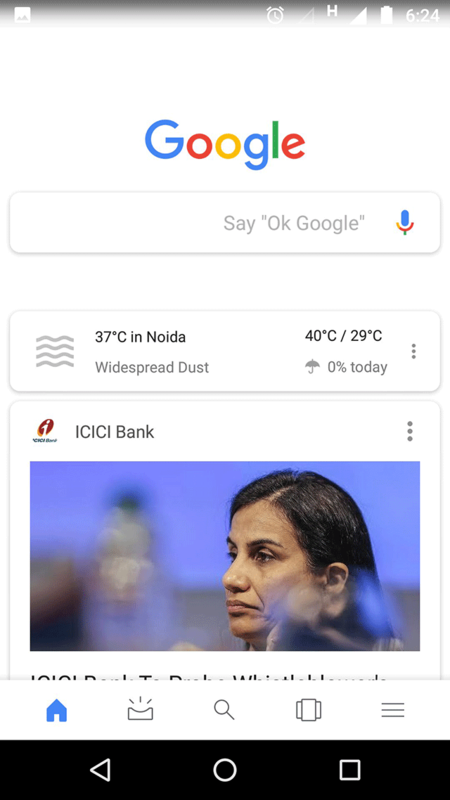 Reena Jha from India shared with me on Twitter a new search interface being tested by Google, maybe only in India, I do not know. The new interface puts the navigation in tabs in the footer of the page. 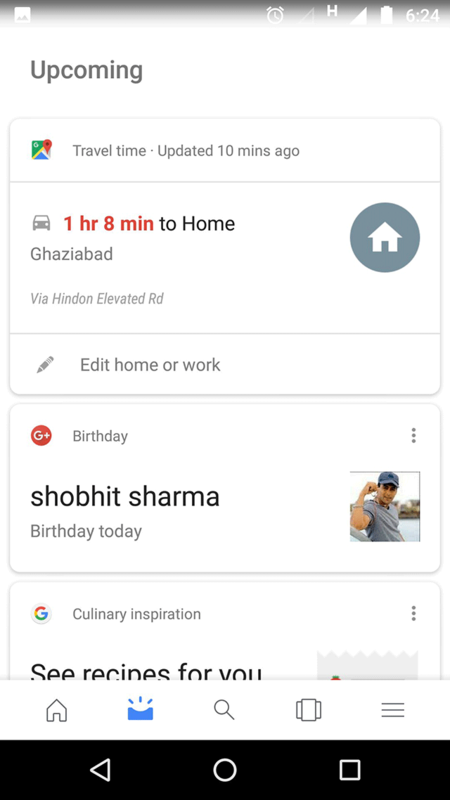 This replaces the hamburger menu on the side top of the page and includes a tab for home, upcoming, search, recent and then more options. See the footer above, that is the new part of the user interface. Pretty interesting, going back from the hamburger menu back to the footer tabs. In October, I thought it would be nice to say something nice about the folks in our industry and I started a daily post about how specific individuals in our SEO/SEM industry deserved to be honored and called out as being special to the industry. The purpose was to make sure some of the people in our industry knows during their lifetime that they are appreciated and mean a tremendous amount to a lot of people in our space. I started writing these on November 27, 2017 and wrote one every work day for the past 185 days or just over 6 months! And what is amazing is that there are dozens and dozens of people who were nominated that said they do not want the recognition and asked me not to post about them here. There are also another hundred or so I tried to reach out to several times but never heard back from, so I was unable to post on them. Finally, there were some folks who were nominated but I found very little public SEM related content around their names and thus couldn't post about them. Finally, like i said before, there was a nice number of people who did not want to be mentioned at all. I'd like to say that I am sorry if you are on this list and I did not cover you, I did really try to reach out but I did not hear back. We all deeply appreciate everything you all have done for our industry. I hope this made series made at least one person smile and feel just a bit better about themselves. I may do this again in the future, but for now, I am closing this series up and giving the deepest and most respectful thank you to everyone in our industry for making it such an awesome space to be in. 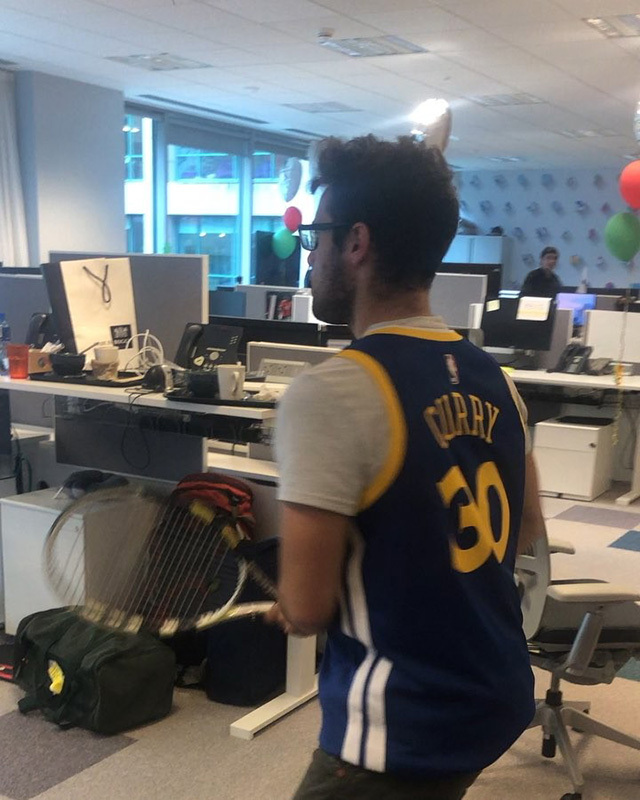 Here is a video I spotted on Instagram of two Googlers playing tennis, indoors, by their workstations. They are pretty good. Marco La Porta, who shared it, wrote " warm up #italy #tennis #google." This was in the Dublin office. It’s best to read the weather forecast before praying for rain. 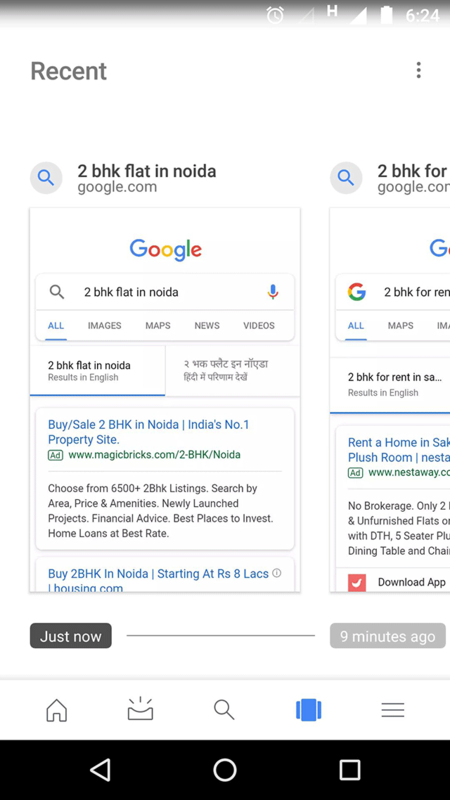 Google’s result pages are changing constantly — websites switch positions, new SERP features pop up, and algorithm never stops evolving. No website is immune to ranking fluctuations, and those that have acquired top 3 positions or SERP features are not out of harm’s way either. These changes can significantly affect your organic search traffic, which is not inherently a bad thing. With SEMrush Sensor at your disposal, you can use these fluctuations to your advantage. Major Google Changes and SERP volatility over the last 30 days. If you see an impact on your rankings for a particular day, you can see if there was high volatility around that time - which could indicate an algorithm change. Insights into the SERP Features presence on results pages, including the specific features that are getting the majority of visibility. You can measure their occurrence in the top 20 and the difference from the previous day. Info on the popularity of HTTPS and AMP among top search results. Mobile or desktop Personal Score for a custom set of keywords (via integration with Position Tracking). Learn more here. Periods when there were significant Deviations in the volatility compared to the monthly average. Domains that became the day’s Winners and Losers (gained or lost most positions) in terms of ranking. The information above proves useful in a situation where you would like to quickly restore your rankings affected by an algorithm change or Google penalty, and also when you want to try and benefit from SERP changes. Here are just a few things that you can do with the sensor tool. Google’s ranking algorithm changes hundreds of times during the year. But it is only the major updates that we are officially informed about. Sometimes even the slightest alteration can hurt your SEO efforts. SEMrush Sensor shows you how volatile the SERP was over the last 30 days for a chosen category. The values, calculated in accordance with a proprietary formula, are scaled 0-10. The lower the score is, the less likely it is that your rankings will change. Useful tip: When considering how volatile the SERP is at the moment take into account the average value characteristic for the target category. High scores usually indicate an ongoing search algorithm update. Although, if you see a negative change in your rankings that doesn’t correlate with the volatility values, it is advisable to audit your website for technical issues. A must: Subscribe to Sensor email or browser push notifications so that you don’t miss a significant algorithm change. If you are facing volatility caused by an expected or announced update, like Penguin or Panda, Sensor can help you make sure that cleaning your backlink profile or other efforts to avoid penalties were effective enough to bring you back to the top of the SERPs. For more detailed data use the ‘Compare with…’ filter and compare the volatility in different countries, between various devices, projects, SERP features, etc. This information will help you determine which of your target areas are more or less subject to volatility, thus switching focus or prioritizing SEO efforts. 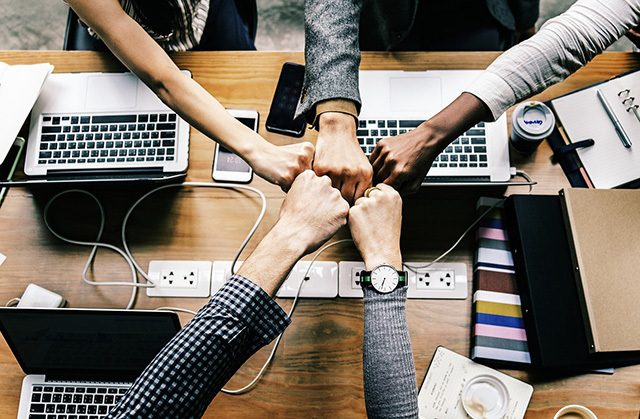 If you have Position Tracking set up for your project you can reap the rewards of knowing the Personal Score for a target set of keywords and find the shortest way to sidestep your rivals. The number of websites using HTTPS and AMP is always growing, but if you haven’t yet decided for yourself whether you need accelerated pages or how soon you should migrate to the secure protocol Sensor will give you the information on how many AMP or HTTPS pages appear at the top of search results. Useful tip: To see the data related to AMP usage select ‘Mobile’ search at the top of the Overview page. The occurrence of SERP features is different for different industries, and the value of a certain feature may also vary depending on the domain’s business. For example, Top Stories are way more important for the news websites than the Local Pack. With the help of Sensor, you can estimate the number of different SERP Features present in the search results for the given category and determine which are worth chasing, if any. The results are shown for the top 20 of the current day; the positive or negative difference to the previous day is shown in green or red. Looking for a new market for your goods and services? Want to examine a niche before investing? The tool can help you in two different ways. Check the Winners and Losers report, which tells which domains in Google’s top 20 daily suffer or gain from the SERPs’ volatility in terms of positions, and new and lost keywords. Next, check the Deviations report shows which categories/industries are mostly ‘under the volatility’ by comparing the daily deviation to the monthly average. These two reports can help you choose the right time and the safest niches to develop. Detect potential issues on the website. See how well your website is dealing with SERP changes. Find the right time to outrun your rivals. Explore the general situation within a target category. If you have any questions, please check the Sensor Manual or leave your comments in the section below.